Recently I had an opportunity to visit the Heritage Park Historical Village in Calgary, Alberta, Canada. Besides visiting the Gasoline Alley which is a huge display of vintage vehicles, I stumbled upon the Antiques and Collectables Store. 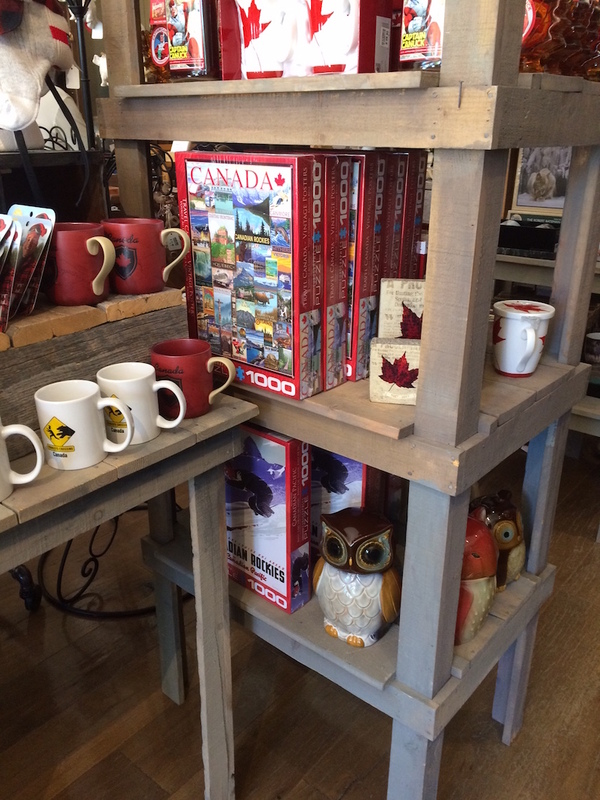 To my delight I saw many Canadian jigsaw puzzles. What was even more interesting was the way the jigsaw puzzles were used to enhance the display of the other artifacts and vintage items for sale. 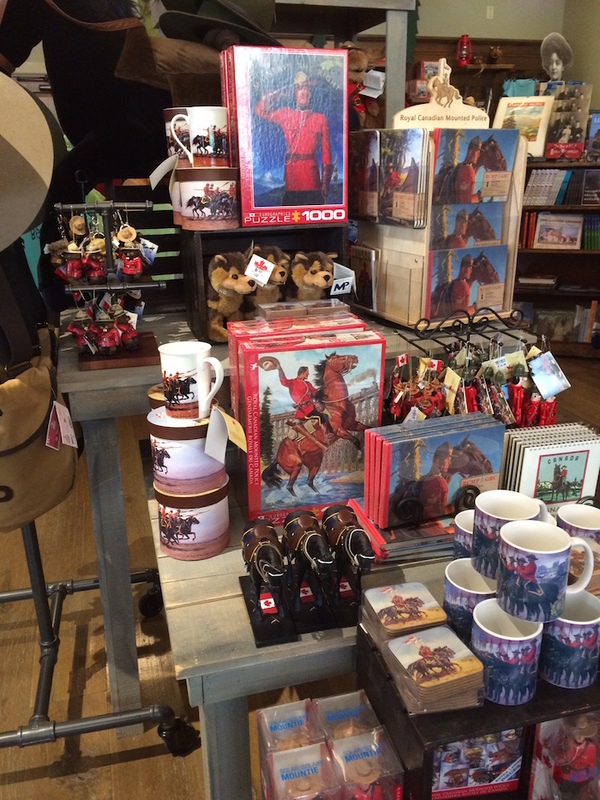 Here is an awesome display of our RCMP. 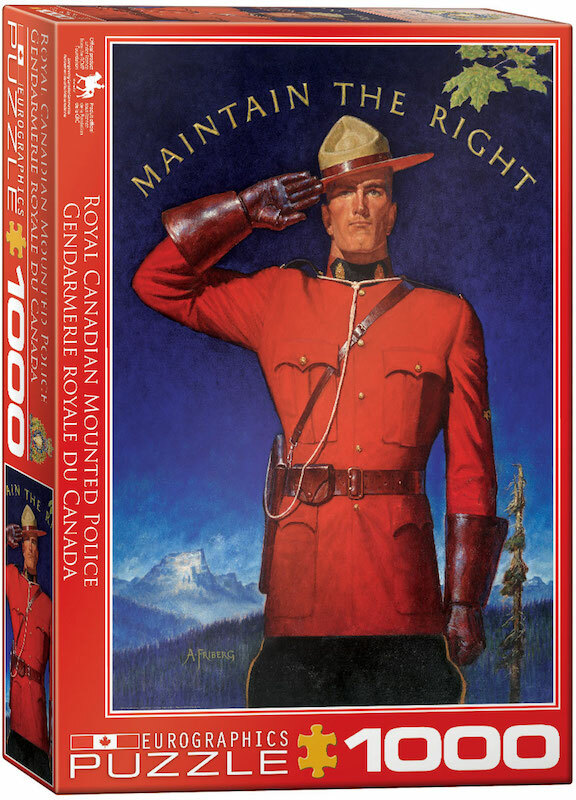 Historically the first policing in Canada and still very prominent today. Among the other items such as cups, keys and coasters (to name a few) the store displays the Eurographics theme for that section. 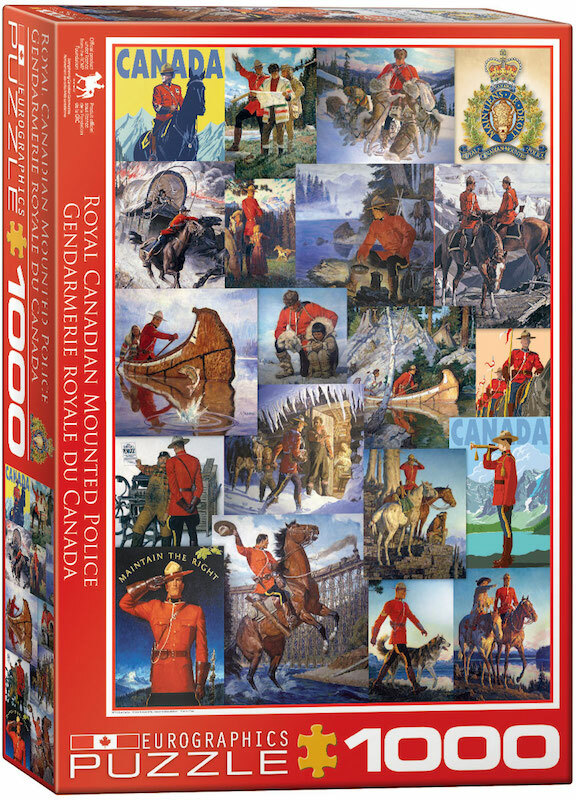 In this case the RCMP shines in the center of attention as Canada is celebrating its 150th birthday all year long. 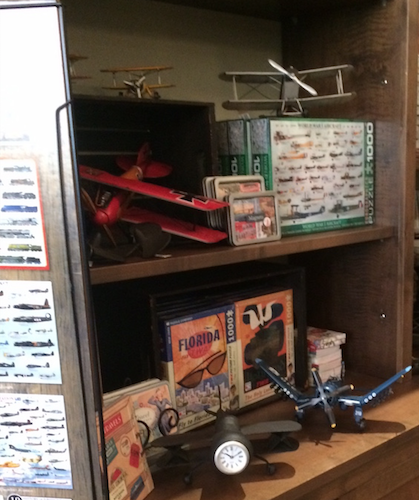 In this showcase, the items are all about the vintage bi-planes used in Canada for the World War I aircraft. 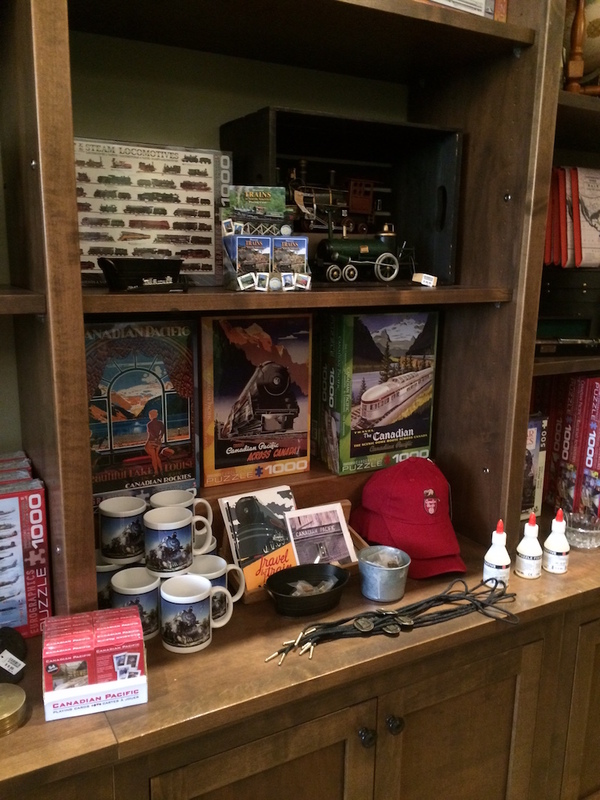 In keeping with the historical transportation, the store displayed several of the Eurographics jigsaw puzzle train images. This image is titled the History of Trains. This one is titled Yoga Dogs and there is also one titles Yoga Cats. Since Eurographics was founded in 1987 in Montreal, Quebec, Canada, they continue to expand continuously with many new images. 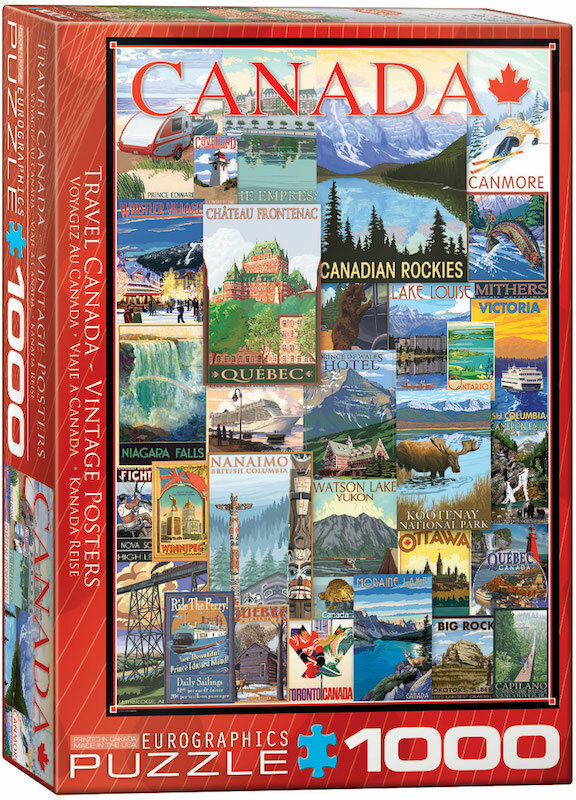 They certainly have become a contender with the most popular brands producing jigsaw puzzles. The boxes are sturdy and the board pieces are of great quality. I see now they have what is referred to has the Puzzle Patch Kit under their Product Warranty. I have never had the issue of a missing piece happen to me but it would be interesting to see how that works. 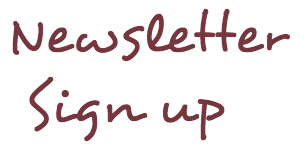 I think it's a terrific idea and they are the only company that I know of who willingly display that on their website. While every jigsaw puzzle cannot be cut perfect, I have assembled enough Eurographics jigsaw puzzles to know that I can highly recommend them to you. If, or should you experiences issues with your newly purchased jigsaw puzzle please do not hesitate to contact customer service. The Antiques and Collectable store is located in Heritage Park, Calgary, Alberta, Canada. 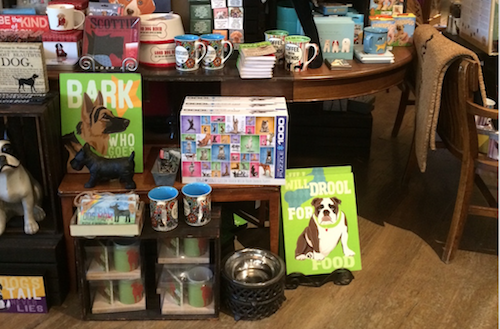 The Antiques and Collectables Store uses jigsaw puzzles to accent the era of items in several categories. The Heritage Park Historical Village is a wonderful family entertainment park to visit anytime of the year. On 127 acres it boasts it has more than 180 unique exhibits across the Park displaying the historical journey through Western Canada. During my first visit to the Park, we toured the Gasoline Alley which displays a plethora of antique cars. There's a Youtube Video below. 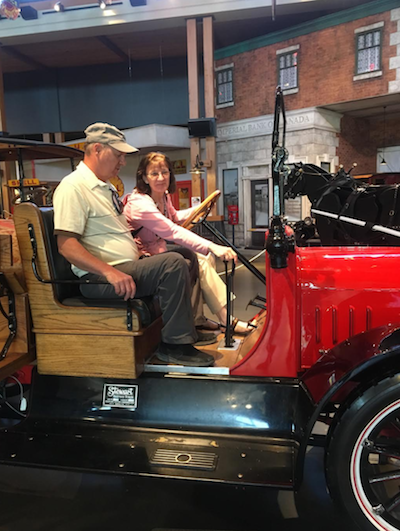 We have always been attracted to the historical museums so this was a perfect way to see up close so many different vehicles that have been restored and stored for public viewing. Then we cruised the the Shops on the way out of the Heritage Park and surprisingly discovered the Canadian jigsaw puzzle company Eurographics displaying the jigsaw puzzles above plus many more.